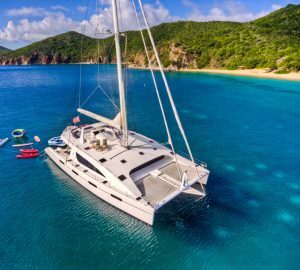 Accommodating up to ten guests, the Privilège 65 Caribbean crewed luxury yacht has an interior living space you could almost lose yourself in. Relax in the dedicated bar area, listen to some music, or watch your favourite movie, in the utmost comfort and style. 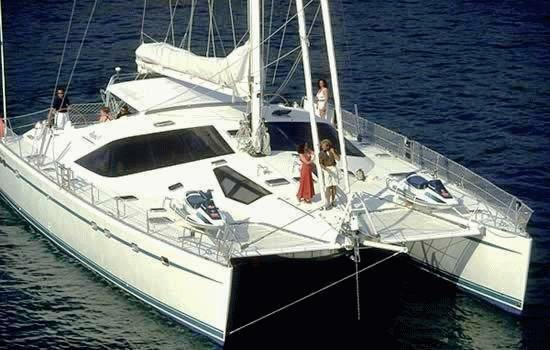 The charter fee includes a fully equipped yacht, captain, stewardess and chef all meals and wine with dinner. It does not include extra bar(if any); champagne, fine wines & spirits; any special orders from the preference list; mooring, port & marina fees; clearance, custom fees and local taxes; telecommunication costs; personal travel insurance and crew gratuity. The prices listed start based on two guests and increase accordingly as the number of guests increase. Please enquire for our full rates. 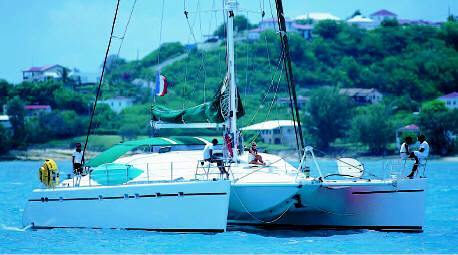 The exceptionally high standards of the Privilege shipyard shine through on these beautifully crafted catamarans. The award-wining birch wood interior is complimented by indulgent upholstery that creates an exclusive atmosphere for the experience of a lifetime. The deck surface encompasses a staggering 1500 square feet and could be comparable to having your own personal, floating, island paradise. 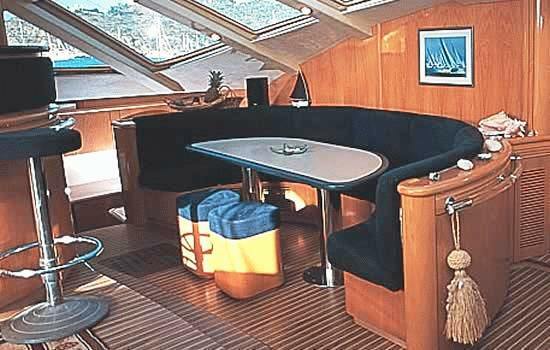 The vast cockpit has two teak dining tables and is ideal for al fresco dining against a breathtaking backdrop. With sunbathing mattresses to soak up the rays, twin trampolines to while away the hours of a lazy afternoon on and stepped swim platforms for easy access to your favourite watersports, the open air living space offers everything you might desire for the perfect getaway. The prices listed are based on full capacity of 10 guests. Discounts apply for less guests aboard. Please inquire. 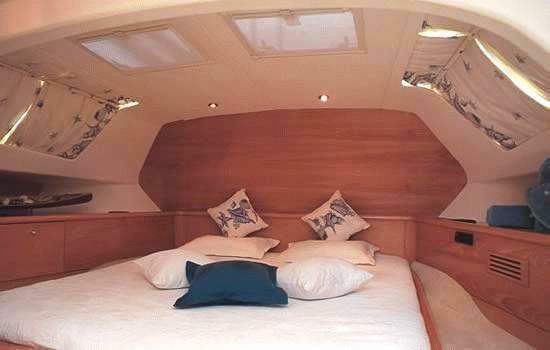 This Caribbean crewed charter yacht has five luxury air-conditioned double cabins, each with en suite bathrooms, plenty of storage space and CD/radios. 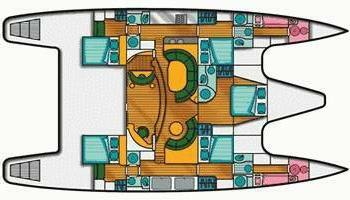 Cabins incorporate detailed woodwork with elegant décor and are positioned in their own private section of the yacht. The deck area is comparable to your own Caribbean island and includes sunbathing mattresses, twin trampolines and two large stepped swim platforms - perfect for indulging in your favourite watersports. The entertainment and leisure facilites onboard the charter yacht Bonaventura include a book library and boardgames, AM/FM radio and CD and DVD player with indoor/outdoor speakers, TV and VCR. There is a satelite phone for communications, as well as a computer with internet and e-mail access. 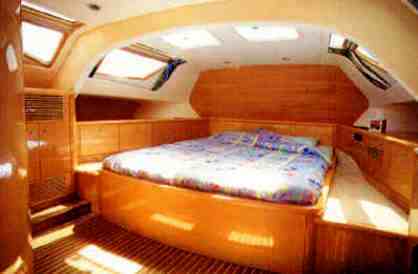 There is a dinghy with outboard, water skis, wakeboard and kneeboard, a wind surfer, snorkel gear, floating mattresses and a double kayak. 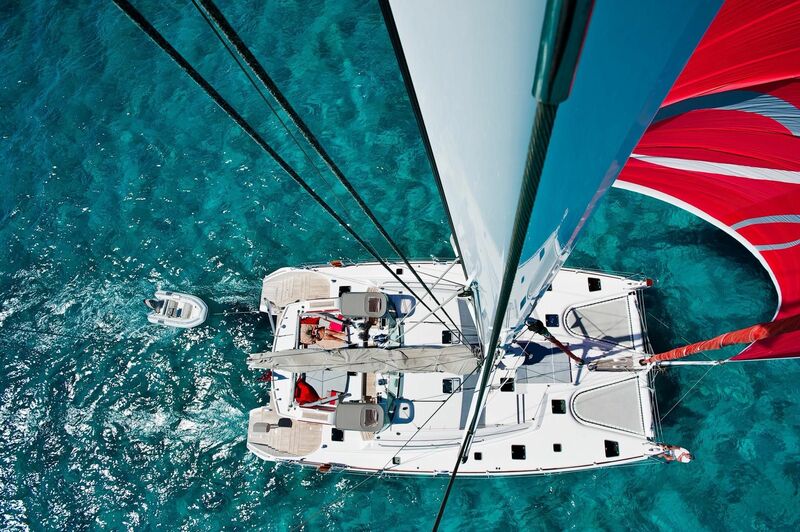 General technical amenities on boat include a: generator, water maker, electric toilets, air conditioning, cellular phone, spinnaker, wind speed & depth finder, auto pilot, satellite phone w/email, radar, GPS, electric charts, SSB Radio/VHF Radio.